Another round of severe weather is expected to continue its march across the country on Tuesday. 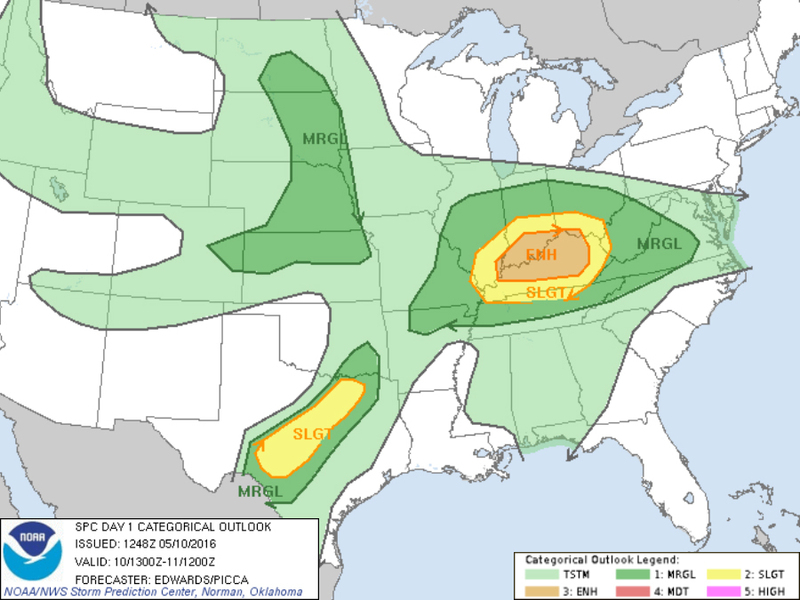 The greatest threat for severe storms capable of producing strong winds, a few tornadoes and large hail has a bulls-eye drawn where Kentucky, Indiana and Ohio meet. 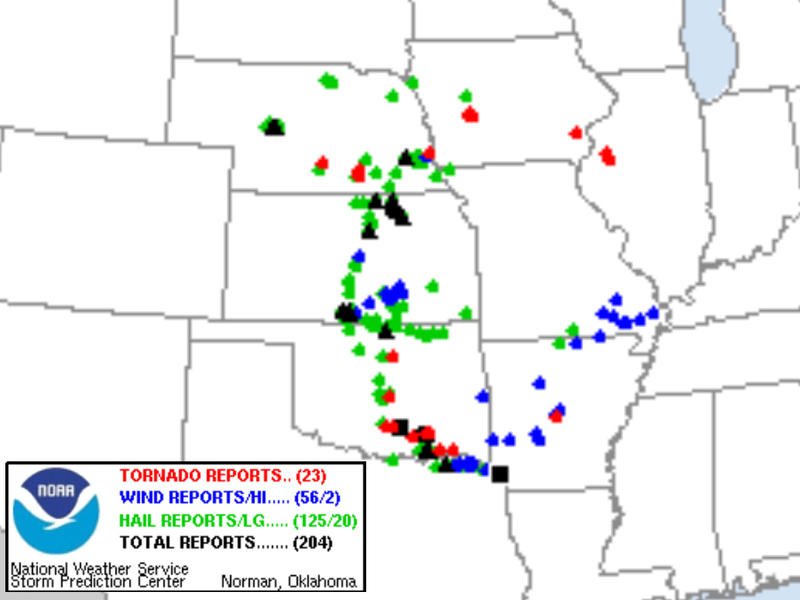 This is the same system that caused nearly two dozen tornadoes across the Plains and parts of the Midwest on Monday — one of the top five most active tornado days of the year this year. This will be the fourth day in a row of severe storms across the country, and it won't be the last, either. The U.S. is stuck in this severe weather pattern through at least the end of the week, though storms will likely decrease in strength as the week progresses. The developing storm system causing a chance for severe storms in southern Texas on Tuesday will move east on Wednesday and Thursday, taking the severe weather threat from the Plains to the Midwest. That system will also open the door for some cooler, more stable air that'll give the country break from any severe weather — at least for a little bit. This is the spring severe weather season, after all.